This adventure trip will take you to the most isolated, but also very beautiful areas in the far north of Vietnam, where you can see many different hill tribes and magnificent scenery. 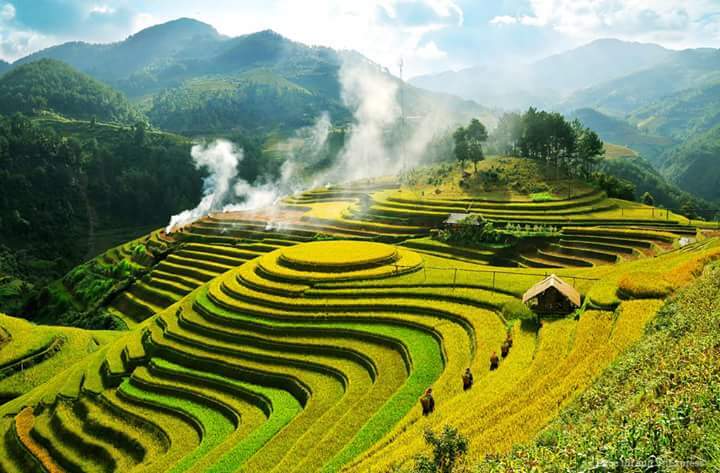 You will see the weekly market on the way north, as well as terraced rice fields in Mu Cang Chai and Hoang Su Phi, that have been newly recognized as national heritage sites in Vietnam. You will also see the charming town of Pho Bang, the breathtaking pass at Ma Pi Leng, Dong Van Rock Plateau, Meo Vac Town, beautiful Ban Gioc Waterfall and historic Pac Bo Cave. You will also take a peaceful boat trip on Ba Be Lake and experience a home stay with Tay people in a house on stilts. This tour will emphasize your interactions with many hill tribes in order for you to have a well-rounded and profound learning experience that you will value forever. + Discover villages by walking, hiking and boating. Upon arrival at Hanoi’s Noi Bai International Airport, you will be greeted by our guide and transferred to your hotel. You will have a welcome dinner, followed by a traditional water puppet performance before an overnight stay in Hanoi. At 8 a.m. your guide and driver will meet you at your hotel in Hanoi. You will take a one hour drive to Tay Phuong, one of the most beautiful pagodas in Vietnam. Located on the top of a hill, this pagoda is very famous for its collection of Buddha and Arhat statues from the 17th century, as well as great architecture. 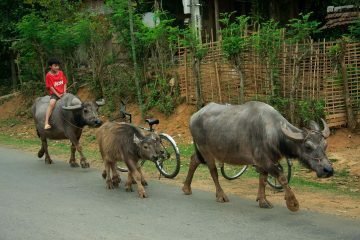 You will then take a 45 minute bike ride through the rural area around the Pagoda, passing through green rice fields and local villages. It will be a great chance for you to discover daily life activities on the Red River Delta, interact with local people and feel the real atmosphere of the region. After that, you will go back to the car for a drive to the ancient village of Duong Lam, which still has many preserved houses, some hundreds of years old. You will visit the Communal House in Mong Phu hamlet (the only hamlet whose original village entrance gate remains intact) which is dedicated to national heroes. You will enjoy a great home hosted lunch at the oldest house in the village, that of Mr. Hung, which dates back to 1649. Then you will drive up to Nghia Lo, stopping to visit thevillages of Thai and Hmong people along the way. You will stay overnight in Nghia Lo. Today you will travel along very scenic route, from Nghia Lo to Sapa. 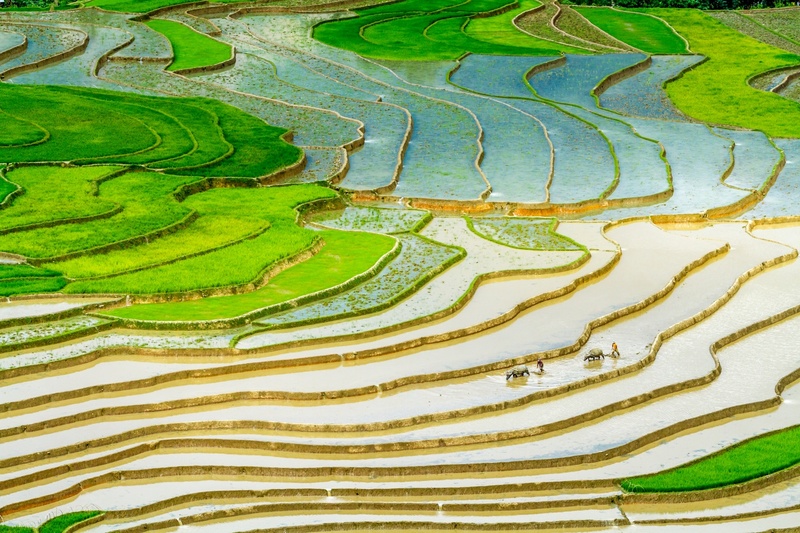 You will marvel at the terraced rice fields at Mu Cang Chai, the spectacular view of the Hoang Lien Son Mountain Range at Than Uyen, and the hidden road from Than Uyen to Van Ban. You will arrive in Sapa in the late afternoon and stay overnight in Sapa. In the morning you will drive to visit Muong Khuong to see the weekend market and then drive to Bac Haonon a road along the Chay River, which has been relatively unknown to tourists. You will arrive in Bac Ha at noon and have a chance to visit the biggest weekend market of hill tribe people in the north of Vietnam. 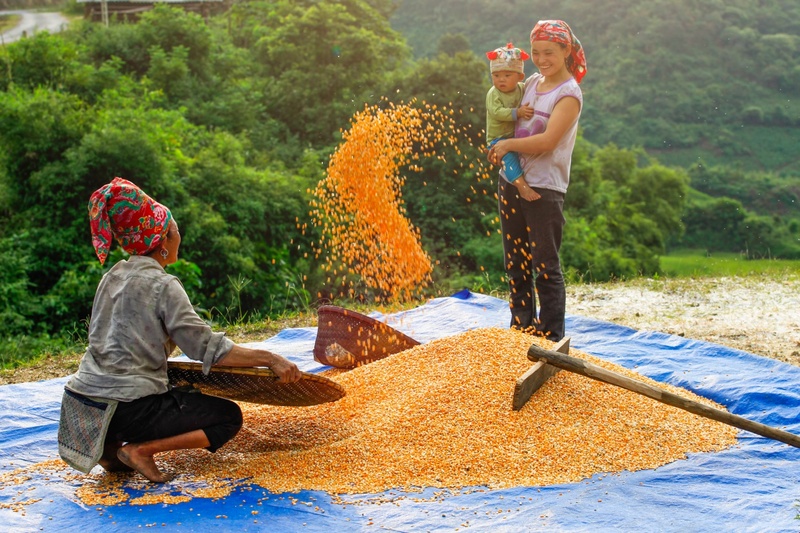 In the afternoon, you will have the option of taking a half day trek to local villages in Bac Ha, or simply have free time before an overnight stay in Bac Ha. 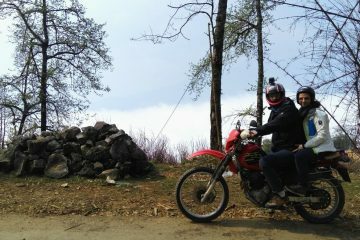 This morning, you will take a very interesting trip from Bac Ha to Xin Man. You will hardly see another traveler on this road but the scenery is outstanding. Then you will drive to Hoang Su Phi, where you will have a chance to admire one of the greatest terraced rice fields in Vietnam. Established hundreds of years ago, Hoang Su Phi District is now home to more than 60,000 people, representing 17 ethnic minority groups. They live mainly on rice cultivation and other subsistence crops. 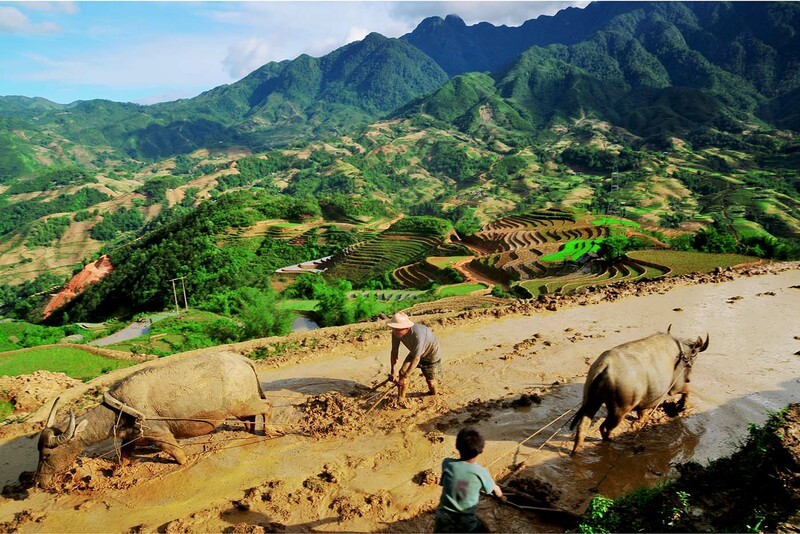 In the rocky mountainous areas of Hoang Su Phi District in the northern border province of Ha Giang, the Dao, Hmong and Nung ethnic people cultivate paddies after rains have covered the drought affected fields in late June. You will have the rest of the day at leisure and you will have a restful overnight stay at the Pan Hou Lodge. 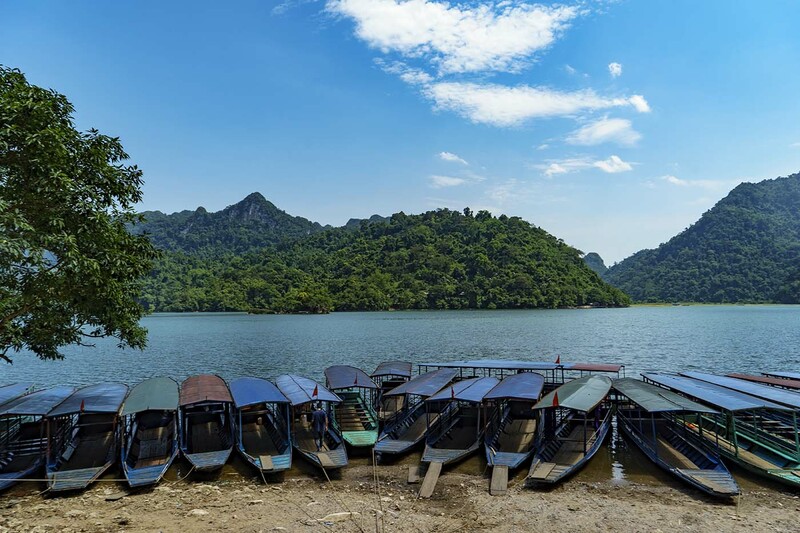 Today you will drive from Hoang Su Phi to Quan Ba Heaven Gate, where you can stop for great pictures of the impressive twin mountains. 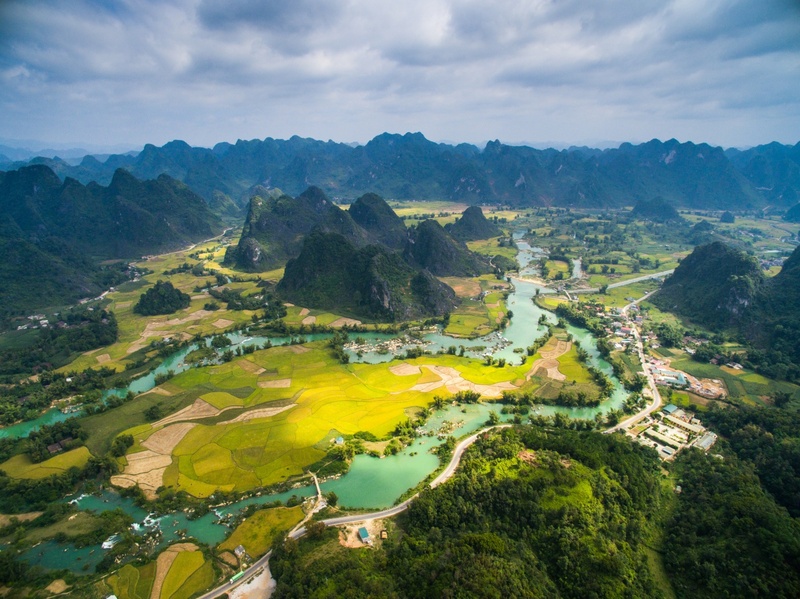 You will go on to Yen Minh, with spectacular scenery along the way, followed by a drive to Pho Bang, located right on the border between Vietnam and China. After lunch in Pho Bang, you will visit the impressive house of Mong King, before driving to Dong Van, where you will see the most unique stone plateau in the world. In the afternoon you can take a walk to the old street of Dong Van, where you still can find hundred year old houses made from clay, with hospitable local people still living there. You will stay overnight in Dong Van. On this day, you will visit Dong Van Market before driving to Meo Vac, known as the cradle of the Blue H’mong & Lo Lo people, who mainly live on the hill-sides and work on the rice terraces. One of the highlights of the trip today is a great drive to Ma Pi Leng, a breathtaking pass with great scenery from atop the pass. 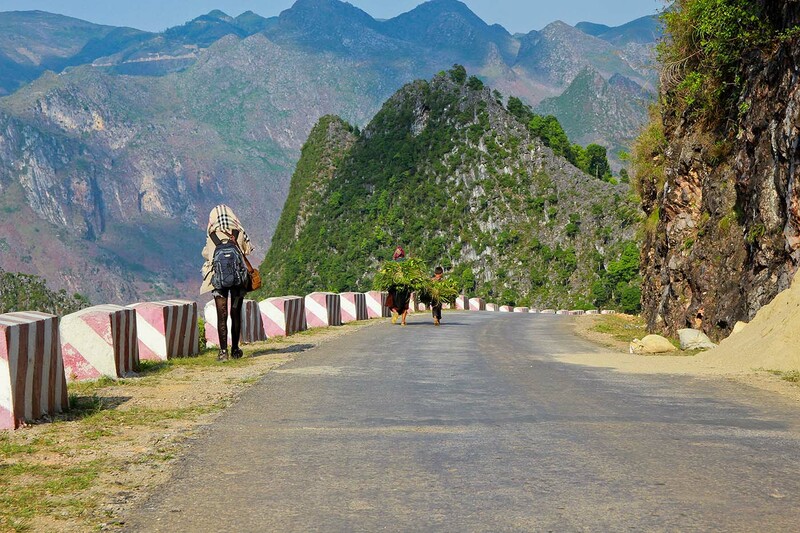 After visiting Meo Vac, you will head to Ha Giang along the beautiful plateau, covered with great rock formations. Upon arrival in Ha Giang, you will have a chance to visit Nong lake. Located about 20 kilometers from the town, this lake was described as the beautiful eye of the mountainous area in Ha Giang. After rafting on the lake, you will drive back to Ha Giang to check in to your hotel for an overnight stay. 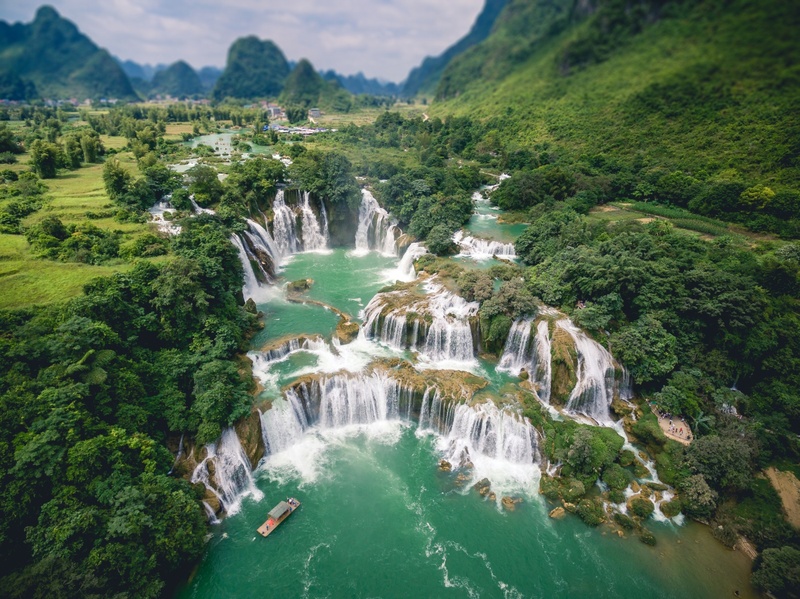 Today, you will spend the day on a scenic drive to Cao Bang. You will pass by and through many valleys, mountains, villages and waterfalls. The journey is an adventure in itself, and you will be rewarded with wonderful and sensational landscapes. 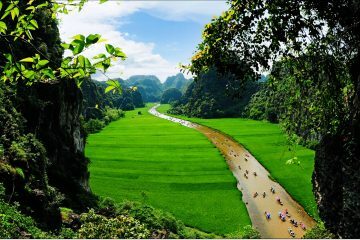 You will arrive in Cao Bang in the late evening and stay overnight. You will depart today and go to Ban Gioc Waterfall (the most tranquil waterfall in Vietnam) via the scenic pass of Ma Phuc. Arriving in Ban Gioc beforeit becomes crowded by other tourists, you will have the best photo ops before transferring to Nguom Ngao Grotto. You will take a short trek to the grotto and then drive back to Cao Bang. The rest of the day will be free and you will again stay overnight in Cao Bang. This morning you will visit Pac Bo Grotto. This is where Ho Chi Minh returned in February 1941, after 30 years of living abroad, and in search of a way to liberate the country. The scenery along the way is beautiful, with great green rice fields and local water wheels everywhere. You will return to Cao Bang town, and then drive to Ba Be. The roads are very bumpy and zigzagging, but the spectacular mountainous landscapes with undulating terraced rice fields and hill villages make our hardship all worthwhile! Upon arrival, you will experience a home stay in a house on stilts. These belong to the Tay people in Pac Ngoi Village, on the bank of Ba Be Lake. 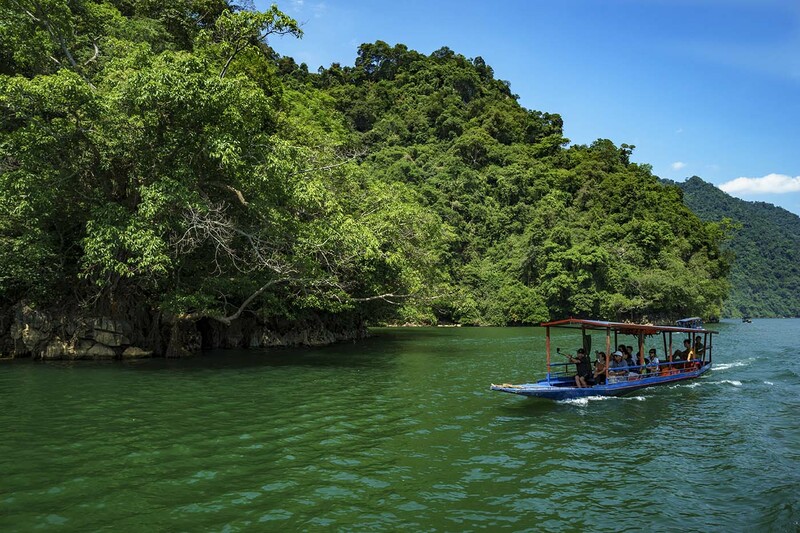 In the morning, you will enjoy a tranquil boat trip to Ba Be Lake, exploring the unspoiled tropical national park, with a stop to visit Puong Limestone Grotto and Dau Dang Waterfall. After having lunch in a simple restaurant near Dau Dang Waterfall, you will drive back to Hanoi where you will get in late at night, concluding your journey off Vietnam’s beaten paths. There is no activity planned for today so you are free to enjoy your free time and go souvenir shopping and relax until transfer to the airport for your onward flight.